Before we get into a Solar Eclipse, let's talk about what an eclipse is in general. In space, an eclipse happens when one object blocks another so an observer cannot see it. From Earth, there are two kinds of eclipses that can be seen. Those two eclipses are Lunar eclipses and Solar eclipses. In these activities, we'll be talking about solar eclipses. So what is a solar eclipse? A solar eclipse occurs when the Moon passes in front of the Sun, which causes a shadow to fall on certain parts of the Earth. For the people in the shadow, it looks like the Sun has gone dark. This link from kidsastronomy features a short simulation about why and how a solar eclipse came to be. Depending on where you are in the Sun's shadow, you might see one of three different types of solar eclipses. Let's take a look a the different types of solar eclipses. A total solar eclipse occurs when the Sun has been completely covered by the Moon. These kinds of eclipses last only a few minutes (7 minutes and 31 seconds at most) and it would appear as if the Sun was darkened out, with only a pearly glow from the Sun's gaseous outside. A partial solar eclipse is what you see when only a part of the Sun is covered by the Moon. What you'd see in the sky (with proper protection or using a pinhole projector) is the Sun with a chunk of it darkened out. Depending on where you are, the chunk of the sun that is covered may be bigger or smaller. 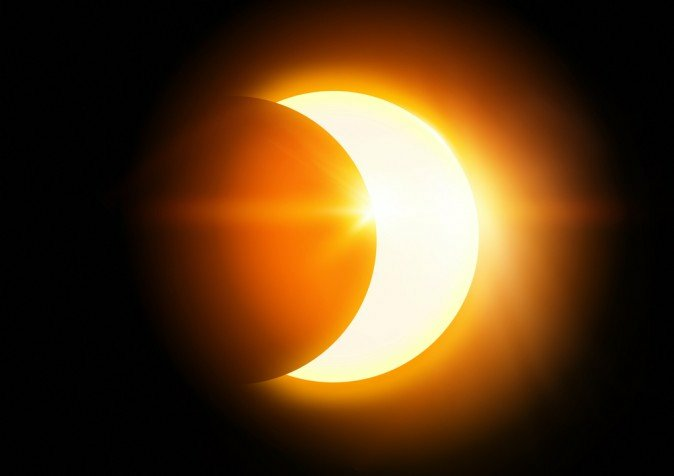 An annular solar eclipse occurs when the Moon completely covers the Sun, but the Sun can still be seen around the edges of the Moon. 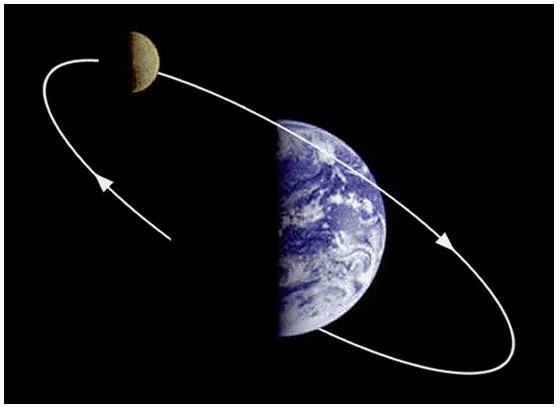 Due to the shape of the Moon's orbit, the Moon sometimes appears smaller in the sky than normal. Listed below are links to various activities on modelling solar eclipses. Please feel free to share any links that may be helpful in the Educator Forum. This activity will be updated as needed. 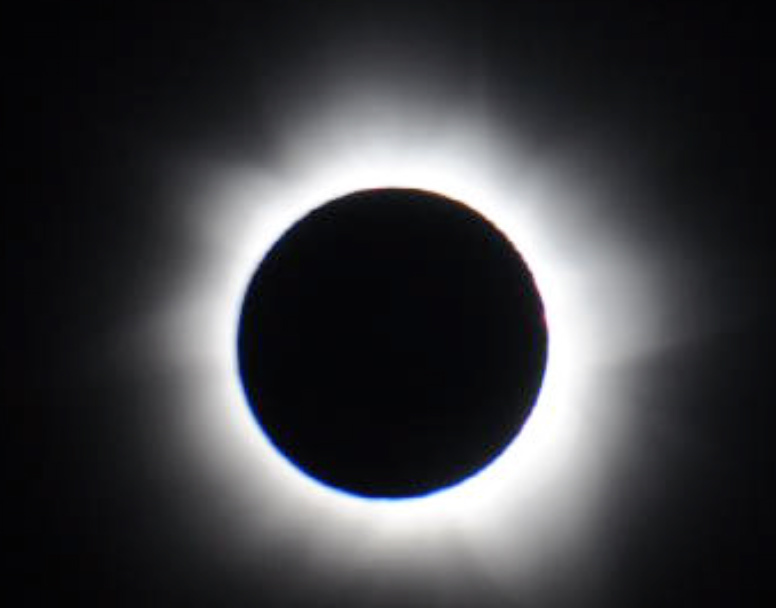 This webpage features a lesson on modelling solar eclipses in the classroom. Includes instructions, photos and discussion questions. This webpage by the Stanford Solar Center features instructions on two different methods of modelling solar eclipses. The Sun's rays can be very harmful to your eyes, even with the sun being blocked by the Moon. This page by KidsEclipse includes text and picture instructions in order to make a pinhole projector. Note- There are other websites that provide solar eclipse glasses. Feel free to recommend them in the Educator forum.